Without a Home ! But there is hope! What can you do to help. | Taking On A Cause by Patsy McCaw-Yager,Englewood, Fl. Category Archives: Without a Home ! But there is hope! What can you do to help. Bus Driver Kristian Doubledee , Stops Bus and Gives Homeless Man His Shoes. People on Bus in Awe, Some Cried!!! Posted by Sullivan"s Sanctuary in "The Hero Club", Hey Autumn, People Living up to their potential !, WHAT CAN ONE PERSON DO? ALOT!! !, Without a Home ! But there is hope! What can you do to help. 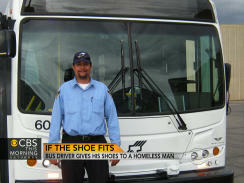 http://www.cbsnews.com/8301-33816_162-57518288/bus-driver-gives-his-shoes-to-homeless-man/ Great story on acts of kindness. Bus driver gives shoes to homeless man at red light. CBS featured story on the past Saturday morning.Please see above link for story on this kind person, and the example that one person can do more than you will ever know. Introducing New Categorie, Military Monday, with ” Lets Start a Movement For A National Vietnam Veterans Honor Day” September 14, 2012 Would be a good day to do it because September 14, was the” lucky lottery” birthday picked for first to be drafted for Vietnam Service! Posted by Sullivan"s Sanctuary in "The Hero Club", Lets Give Our Military and their families the support and respect they are due, Military Monday's, They need your help, Without a Home ! But there is hope! What can you do to help. Afghanistan, Birthday, Detroit News, God, Homelessness, Iraq, Jesus, Mekong Delta, St. Augustine Florida, United States, Veteran, Vietnam, Vietnam veteran, Vietnam War, Yahoo! I remember the day the draft birthday lotto numbers were picked to deterime the order in which one would be called up. September 14th, birthdays was the first date chosen. I cried when I read that date so dear to me, me and my twin brother‘s birthday. 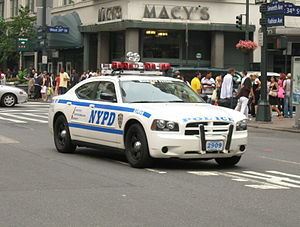 I being a woman, my brother thru an accident at our birth a man with challenges would not be drafted. I thought of a birth day as a special day my parents had always seen to that. Looking at that date featured on the front page of the “The Detroit News“, I was literally stunned. The Vietnam veteran has never been given the due he or she deserved. In fact for years portrayed in movies as drug addicts, or on the verge of a mental breakdown, or people who escaped from reality, and responsibilities. 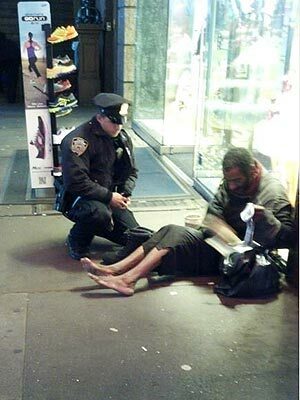 The first homeless person that I ever met was homeless, was a Vietnam vet. I have also witnessed in St.Augustine, Florida, a funeral for a young man killed in Iraq and a motorcycle motorcade standing guard against religous zealots picketing the funeral, yep, the motorcyclists are Vietnam vets. I want to start a movement to honor those who served us and never got their due instead were often labeled with dishonorable tags. I know of no veterans, not even civil war veterans who had to bear this from serving their country please forward this. You Think Principals Don’t Care? Read The Following! Inside Whitney Elementary School in East Las Vegas, nearly 85 percent of the children are homeless. That’s 518 kids out of 610. Principal Gahn, Feeds, Clothes, along with volunteers does much more. So Students Can Learn! Posted by Sullivan"s Sanctuary in "The Hero Club", Setting by Example, Taking On A Cause -Giving Your Life More Purpose!, They need your help, Without a Home ! But there is hope! What can you do to help. The news is filled with stories, of schools, teachers, principals not fulfilling their promises to the students of today. In Florida, our news in the past few years have shown principals turning their heads to important issues in their own schools. God bless Principal Sherrie Gahn, of Whitney Elementary School in East Las Vegas! Principal Gahn came to the school 8 yrs ago. Gahn viewed the problem as a basic one, a student can not learn if basic needs such as getting enough food are not met. The student will not be able to absorb knowledge if he or she is hungry, scaired, has no place to live and dosen’t have a place to take a shower. Principal Whitney with an army of volunteers helps with all this and more. Asking the parents of these homeless children to turn them over to her to learn and she will find resources to help them live their daily lives and to take care of the families of the homeless students. I say God bless you principal While people compain about schools in our country, there are over 500 of good souls, helping the students of principal Gahn. The volunteers that are helping offer resources as well as services. Hair cuts, among other much needed skills are given freely and generously. There are people also who are sending money to help. Please check your local schools for programs that help students and their families. There are articles in local newspapers across the country telling of often dire needs of children in homeless shelters. Also if so inclined you could contact the school of Principal Gahn to see what you could do to help. Please see thestory on following link.